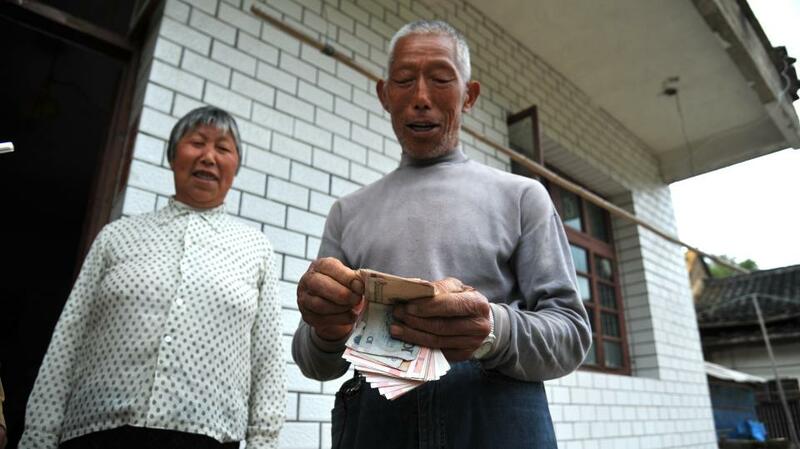 The forced-participation poverty alleviation projects imposed by some local governments are at times inefficient and even harmful, opinion writer Tie Yonggong wrote Wednesday in the Beijing Times. To solve this issue, there needs to be an effective evaluation and accountability system that regulates and supervises these efforts. To local government officials, poverty alleviation work has become an important political task and a critical factor on which they are judged in their performance appraisals. Most local authorities have taken various measures and issued supporting policies to help the impoverished. However, according to a recent investigation by the State-run Xinhua News Agency, some local authorities have created industrial poverty-relief projects and forced the poor to participate. These programs end up producing a large amount of excess agricultural products and bring locals financial losses instead of gains. Local governments are required to suit the method of poverty alleviation to their specific situations. Officials need to conduct thorough investigations to gain an accurate understanding of what's going on in their own backyards, including their own strengths and weakness. Only then can they develop specific policies that are beneficial and suitable to the area, Tie wrote. However, many local governments skip this step. They use standard methods without localizing them, launching perfunctory poverty-relief projects that waste both money and manpower. Tie argued that it is necessary to establish an effective evaluation system to supervise local governments' poverty alleviation practices. Once their performance assessment is directly linked to clear poverty-relief results, officials will actually bear locals' interests in mind and take more efficient and specific measures to lift them out of poverty.